Are we in for another one of those magical Anfield nights? Liverpool sit proudly top of the domestic pile but the task of qualification for the Champions League knock-out stage has proved more difficult than anticipated. 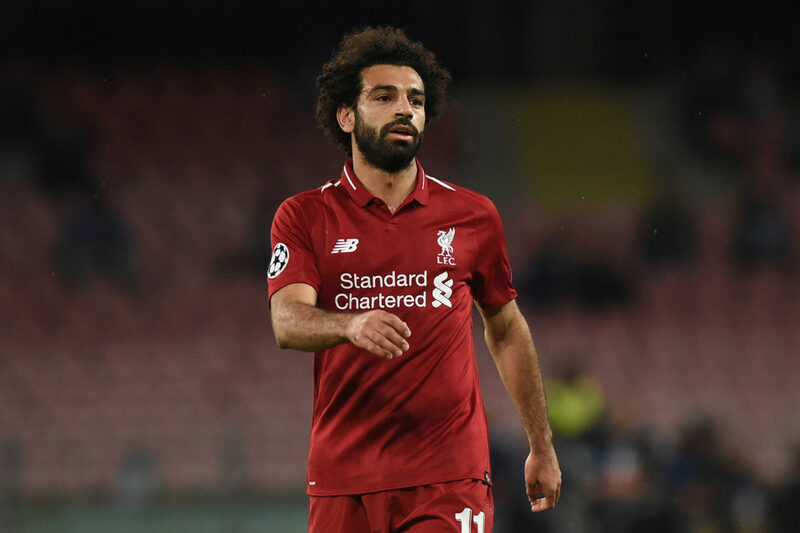 While the Reds have so far swept all before them in the Premier League, three away defeats in Europe have jeopardised their safe passage into the last sixteen. Everything now rests on a potentially fraught final Group C encounter against Napoli on Tuesday night. The Italians come to Anfield needing just a point to progress but for Liverpool only victory will suffice, either by a score of 1-0 or by a margin of two clear goals. If it feels like we’ve been here before, it is because this is exactly the same qualification scenario facing Liverpool back in December 2004 when Steven Gerrard’s late missile despatched Olympiakos at the start of that famous journey to Istanbul. Anfield will recognise that this is no easy mission. When the two sides met in Naples, Liverpool were rendered impotent by the Italians, failing to register a single shot on target before succumbing to a crushing late strike by Lorenzo Insigne. With the wily Carlo Ancelotti in the opposition dug-out, the Reds can expect a tactical affair despite protestations from our old foe that his team will come to attack. However, Italian teams are traditionally imbued with caution and Jurgen Klopp will be preaching patience from his players. Klopp will be sure to encourage the Reds to feed off the energy of an Anfield crowd which is likely to be at fever pitch in the opening stages but will impress the need for an approach which combines use of the head and heart. Liverpool’s famed intensity from the start on European nights will have to be tempered by the threat of an away goal on the break. the whole identity and enduring high profile of the club, particularly during a title drought lasting nearly thirty years, has been fostered on famous victories in Europe. Klopp faces a number of selection dilemmas after successful rotation of his squad over recent matches in the league. In central defence Joel Matip has quietly re-emerged as a potential partner for Virgil Van Dijk in the absence of Joe Gomez and will start unless Dejan Lovren is fully recovered from concussion. The ever-dependable James Milner gave an accomplished performance at right-back against Bournemouth at the weekend so with the need for experience and a cool head, he might stave off the claims of Trent Alexander-Arnold for a recall. In midfield, Naby Keita has begun to blossom and form an effective partnership with Gini Wijnaldum while Fabinho has started to exhibit his own merits as a mobile defensive screen with an eye for a pass. The Brazilian’s burgeoning influence could see him get the nod over Jordan Henderson who has struggled all season to recapture the energy and bite that once made him indispensable to Klopp. Another poser for the manager is whether to revert to a front three; with Sadio Mane fit again after a foot injury to resume with an in-form Mohammed Salah and Roberto Firmino in his most recognisable attack. However, this would mean dispensing with the incisive cut and thrust of Xherdan Shaqiri which has inspired much of the Reds’ attacking invention in recent weeks. Whatever the selection, as is always the case on these electric evenings, the Anfield crowd is the overriding factor and the visitors from Serie A will feel the full force of the Kop at its raucous best. It’s a rude awakening that has brought Europe’s finest to their knees over the years and as the flags unfurl once more Napoli will encounter a hostility and passion which has carried Liverpool to some of their greatest nights.